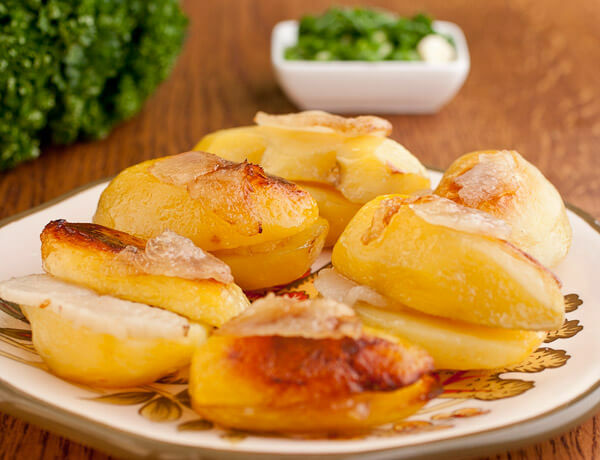 The potato cooked according to this recipe are more aromatic and healthier than its relative – “fried potato.” Baked potato with a slice of salo is amazingly tasty and juicy. 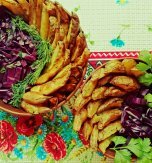 Peel potatoes and cut them in halves. Rub the potatoes with salt. 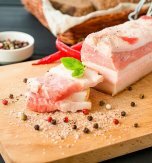 Cut salo into thin slices equal to the size of the potato halves. Place foil on a table. 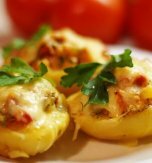 Arrange the ingredients in layers: potato, salo, potato, salo. Wrap the foil over. Repeat the procedure until you use all the ingredients. Transfer everything to a baking tray. Bake the potatoes for 1 hour at 200-220°C. 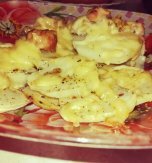 Then put the baked potatoes on a plate. Remove the foil and serve. 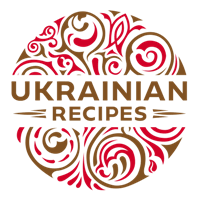 Popular Ukrainian food – salo. Loved. Widespread. Honored.